Once belonging to the Doheny Ranch, the land that comprises the Trousdale Estate neighborhood is now the best example of mid-century modern chic architecture in the surrounding region. The properties within the Trousdale Estates development all boast terraced lots, and each home offers insight into the architectural trends of the 1960s. Given the unique construction and architectural details of these homes, it’s long been a popular place to reside amongst the Hollywood elite and those who love to live beside them. 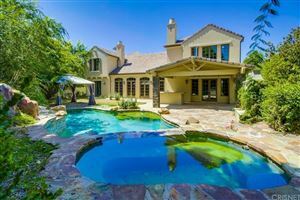 Each house within this community is different than the one beside it, which means that the prices for the homes for sale in Trousdale Estates vary greatly. One home may fetch about $2 million, while another may be priced closer to $20 million. With about 500 lots, the neighborhood was developed under the strict direction of several famed architects. The original building team made sure that every home had a limit on how high its roof could be, so as not to obstruct the panoramic views of the other neighbors within the development. While future renovations did eventually impair the views of some residents, most people who live in the exclusive Trousdale Estates enjoy perfect views from their hilltop homes. Considering the fact that the neighborhood is protected by guards 24 hours a day, 7 days per week and expertly-crafted landscaping offers natural privacy, celebrities have long found solace in this community. Famous residents of Trousdale Estates include Richard Perry, David Spade and Vera Wang. Trousdale Estates is the perfect place for those who want property that is distinguished, interesting and private. Buyers who are interested in owning a home in this community will want to work with a real estate team who has the finesse and inclination needed to get into this highly-competitive market. For more information, contact our real estate team today.